Pigeon Sports at the next Generation! The BENZING Live! 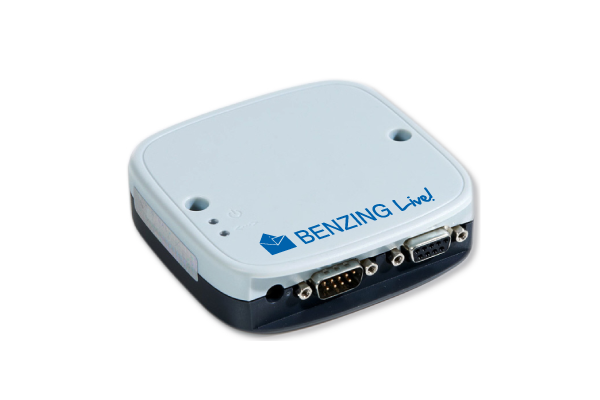 connects your BENZING M1 with the Internet and broadcasts all your race results. Start to compare your race results and compete with your fellow pigeon friends, which are also flying with the BENZING Live! Everytime a pigeon arrives at your loft, your BENZING Live! will send the clocking time to the BENZING Live! Portal. The BENZING Live! will be delivered with an optional one or two years membership without any additional costs! The BENZING Live! 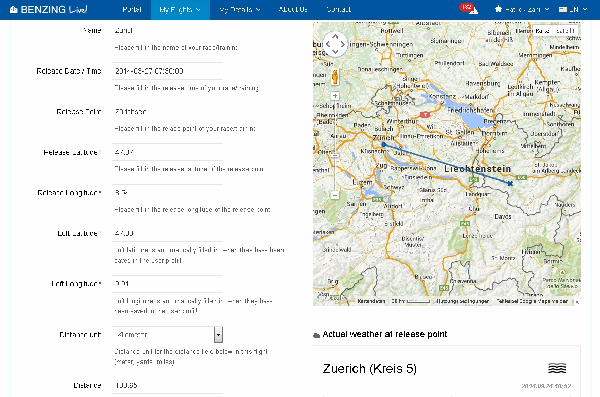 can send up to 250 flights to the BENZING Live! 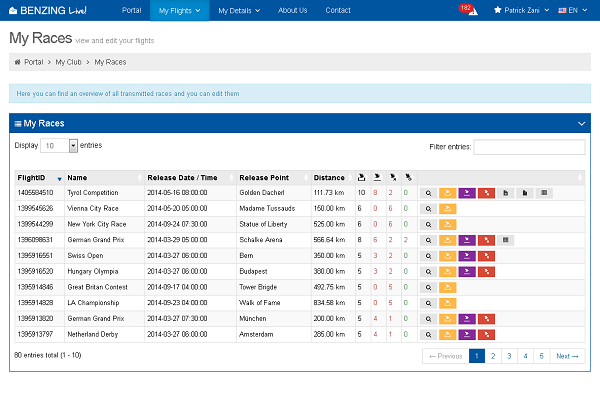 Portal where you can manage all your flights and trainings easily. For more informations, please contact the dealer in your country! Out of the box device, no internet connection needed in your loft. The BENZING Live! is working with a GSM modem and there is a BENZING SIM card installed (included in the membership). It can be used in over 65 countries all over the world and you don´t have to install an internet connection in your loft. The data of each clocked pigeon is immediately transmitted onto the Website. 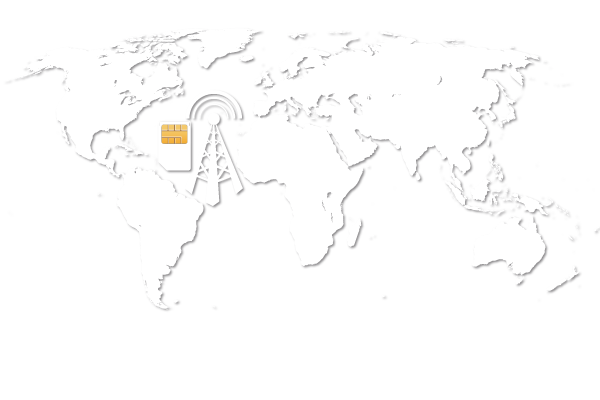 All trainings and races are shown on the website and can be viewed all over the world, 24 hours a day, 7 days a week! You can rename your races or trainings and add the release time and coordinates. Afterwards the website automatically calculates the distance and speed of your arrived pigeons. There is also a speed countdown included. When a pigeon arrives, the website automatically refreshes the page and the pigeon is shown in the arrival list as well! For the first time of pigeon sports it is possible to compare the arrival times of your pigeons instantly with other Live users in your club or worldwide! 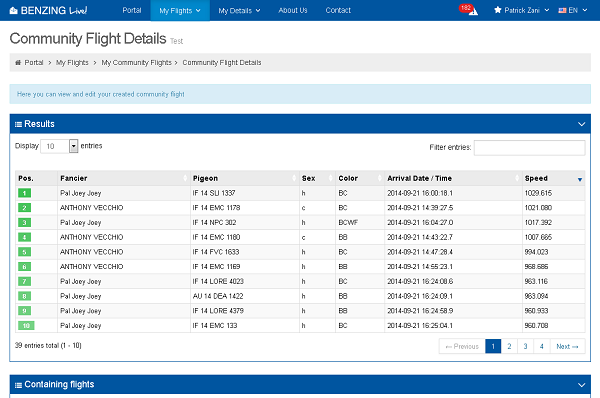 You can create a \"Community Flight\" and add your club members, which are also flying with the BENZING Live! Then you can see live the results from you and your club mates! 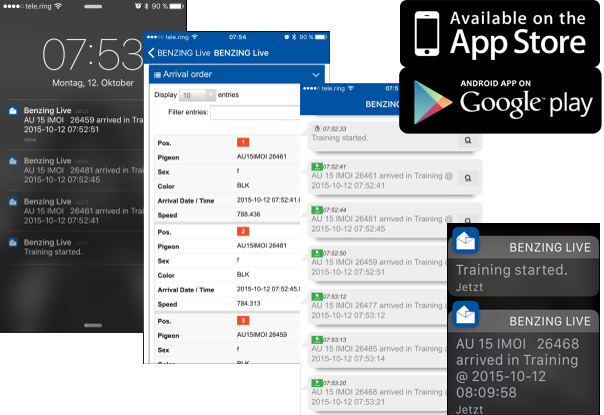 BENZING Live APP notifications wherever you are! 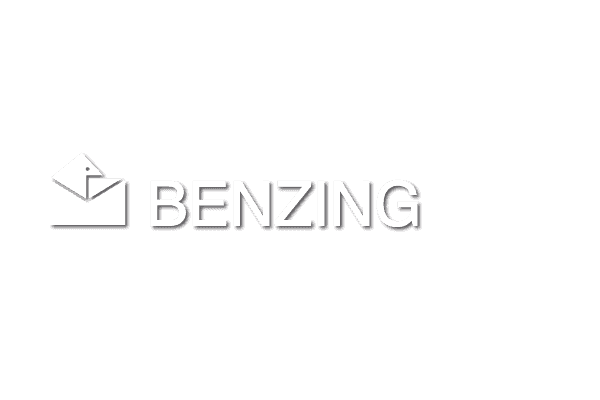 With the new BENZING Live! APP you will get instant push notifications onto your smartphone as soon as you have started a race or training and of course when your pigeons arrived at your loft. In the APP, you have the possibility to set up the quantity of messages you want to receive. 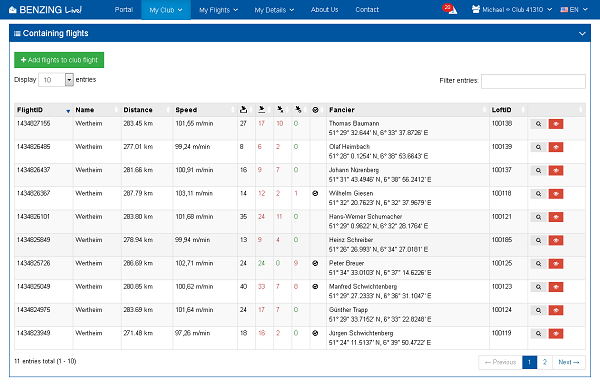 You are also able to take a look into your flight details and you can also change them in the APP as well. The additional sending of the coordinates ensures, that the clock always remains in the same loft. Cheating with 2 different lofts is not possible any more! 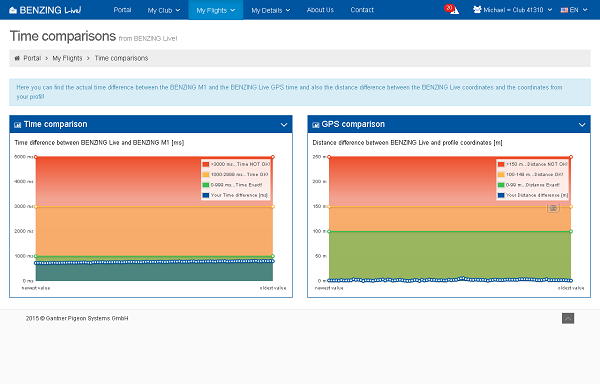 With the time comparison, there is a complete online backup available! So when your BENZING M1 drops, your race results are still online. The data of each clocked pigeon is immediately transmitted onto the Website. All trainings and races are shown and can be viewed all over the world, 24 hours a day, 7 days a week! In the first time of pigeon sport it is possible to compare your arrival times of your pigeons instantly with all your club members and/or every fancier in the world! So it´s possible to match your results against any other pigeon fancier of the world. BENZING Live! is equipped with an intelligent, patented time comparison system. 3 completely independent times are compared every 10 minutes! Also the GPS coordinates are sent to the server. This ensures that the clock always remains in the same loft. BENZING is the brand rich in tradition in recording times in pigeon sport and offers a state-of-the-art technological standard thanks to Gantner know-how.  We supply breeders and clubs electronic registration systems, loft antennas and chip-rings on the basis of non-contact identification technology.